The 2011 Florida Fiber In was last weekend up in Orlando. I’ve been anxiously awaiting this all year and I wound up sick the night before and barely slept. The early morning part of the Fiber In was great. I sat and listened to the lesson on dyeing yarn. She demonstrated how to dye yarn using Kool-Aid and a microwave. It’s too bad my microwave has been broken for over a year now. I may be the only person in Florida without one. I did get a few ideas. I also learned a few other things about spinning. There were a lot of interesting people and many more vendors than last year. There was plenty of wool and alpaca. I just wish there were more fibers like cotton. 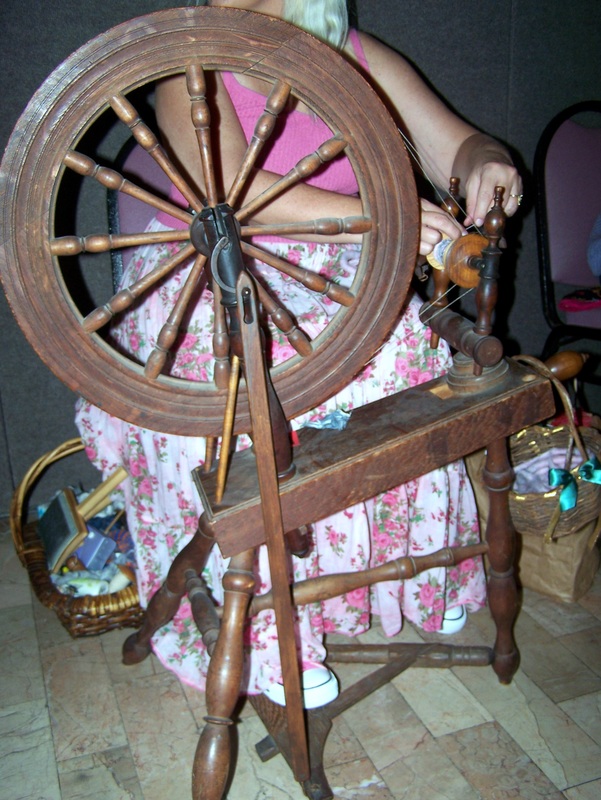 I found a woman who had an old spinning wheel like I originally bought over two years ago. She only spins cotton and absolutely loves it. If anyone would like to donate cotton for me to spin I would appreciate it! By the end of the day, I was too tired to really enjoy much. I wound up leaving early a little cranky. In the meantime, I had not unpacked my spinning wheel or even knitted anything in the week after. In fact, I’ve ripped two projects that weren’t coming out correctly and lost my size six harmony needles. I’m suffering from the fiber blues. At least today was spinning group day. I am still not feeling well and was tempted to skip it, but am glad I went. It is great being around others who think like I do. It is so rare, especially down here.